I don't know why. The M3s are almost as old as the New Haven's M2s and are reaching the end of their useful lifespans like the rest of the Penn Central derivatives. I don't recall anyone saying they weren't. However they are NOT exercising the option with the LIRR contract as many speculated they would. There are no plans in getting rid of the M3's anytime soon as they invested a bunch of money installing ACSES and cameras. 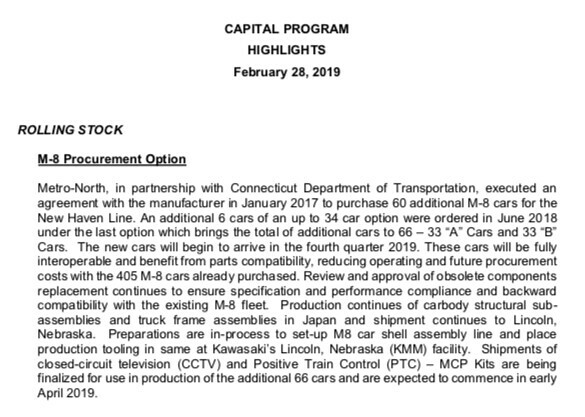 Being the timeframe is "next capital program", think years, as in railroad years (NOTE: one railroad year = approximately 3 Julian years). So... the last day of service for M2s is tomorrow? I read elsewhere that the M2s can't be retired until the new M8s come to replace them.... as they M2s are needed to make service during rush hour. That is a few months out of date. 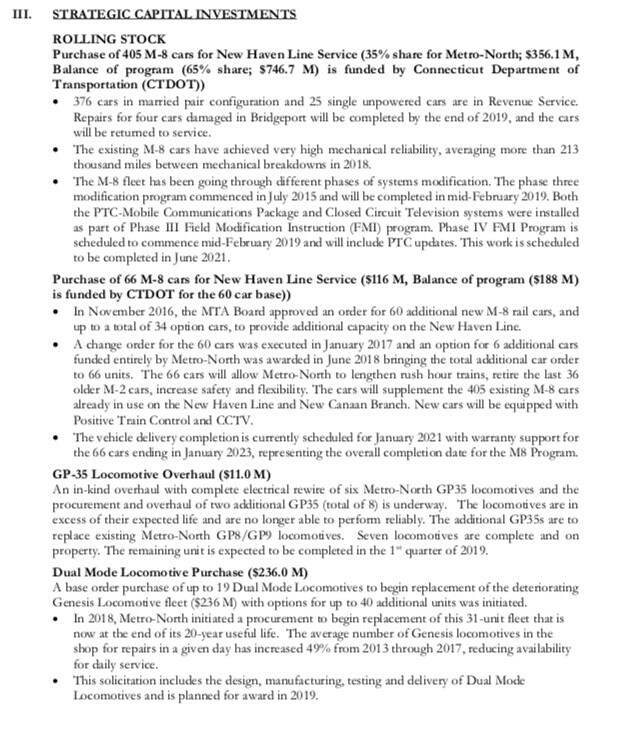 M9s for Metro North are back on the burner. 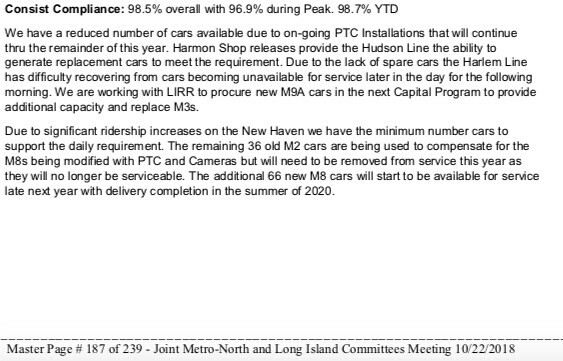 The M2's don't have PTC installed, and Metro-North had been intending to meet the federal PTC mandates by next year. I read on SubChat that MNRR has an extension for PTC for 2 more years. The M2's finally retired today. There was a post about it on FB. The last 16 cars are sitting decommissioned in new haven. In an extreme emergency, they could be temporarily reactivated, but I don't see that happening. 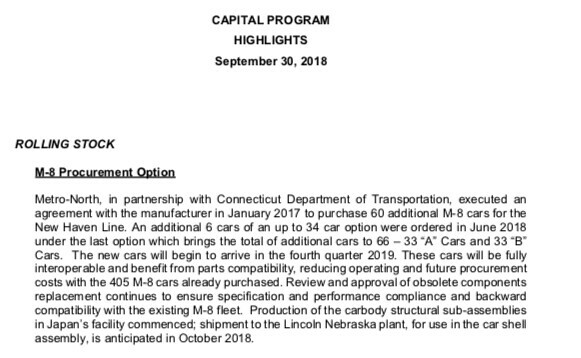 Revised end date reflects the purchase of 3 additional cars. Revised end date reflects the combined reporting with M7010102. I haven’t frequented this part of the forum yet (I’m generally a subway fan), but in case it hasn’t been said already, could someone please tell me how many M2 cars still exist? I hope that at least one car is being preserved for a museum! If not could someone bring this to the MTA’s attention before it’s too late, because it would be a MAJOR shame to see these cars disappear and be lost to history. There have been several recent incidents in which cars weren’t preserved when they were retired (like the PATH K-Car) and I wouldn’t want that to happen again. Thanks! MTA won't give an museum M2s cause the cars have abestos and the MTA doesn't want to get sued. There's an LIRR M1 pair saved at a RR museum in LI and to the average railfan/person the M2 is the same type of car just with a red stripe and pantograph equipment lol. M2 pair 8706-8707 is now preserved by the Danbury Railway Museum, according to some pictures on FB! Looks like they did save one after all!